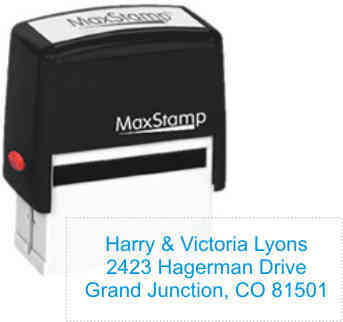 Make life easier and save time with this high quality, self-inking Check Deposit rubber stamp. the name of your bank and the account number. REMEMBER - IF YOU NEED TO WRITE SOMETHING OFTEN, YOU NEED A RUBBER STAMP! FAST TURNAROUND! 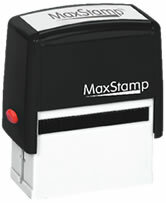 Self-Inking 5 Line Check Deposit Rubber Stamp normally ships within 24 hours.